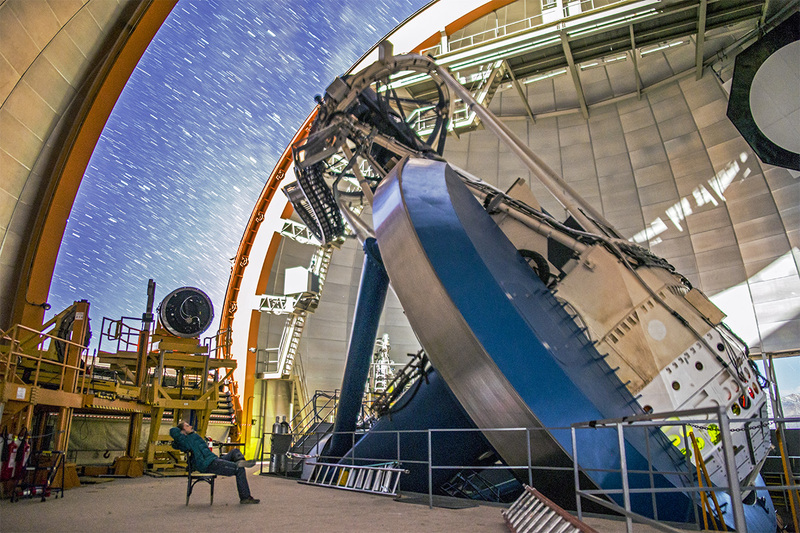 The instrument used by DES is the newly constructed Dark Energy Camera (DECam), which is mounted on the Victor M. Blanco 4-meter Telescope at the Cerro Tololo Inter-American Observatory (CTIO) in the Chilean Andes. The Blanco Telescope was constructed in the 1970’s and upgraded for the installation of DECam. Figure 2: Model rendering of the Dark Energy Camera (DECam), showing all the major components: Optics cage (blue rings at lower left), hexapod (white, diagonally oriented tubular structures near center), shutter (white, flat element near top right and above hexapod), filters (green, to right of hexapod), imager (between red boxes at right). DECam has several major components: five optical lenses, a Hexapod positioning and alignment system, a shutter, a set of color filters, and a digital imager (see Figure 2). The first and biggest of DECam’s lenses is nearly a meter (3.3 feet) across and weighs 176 kilograms (388 pounds): it is the largest optical corrector component currently used in astronomy. DES records images using five filters, spanning 400 nm to 1080 nm. Each filter images the sky in a different band of light. With a 62 cm (24 inch) diameter, these too are the largest filters in use in the astronomical community. The Hexapod mechanism is a set of six pneumatically driven pistons that actuate to precisely align the optical elements between exposures, to keep the camera in focus and the images as sharp as possible. The shutter mechanism actuates a light-blocking element that shields the imager from light between exposures. Figure 3: DECam imager with CCDs (blue) in place. The main component of the imager is a set of state-of-the-art CCDs (charge-coupled devices), similar to but much more sensitive than those in ordinary digital cameras. 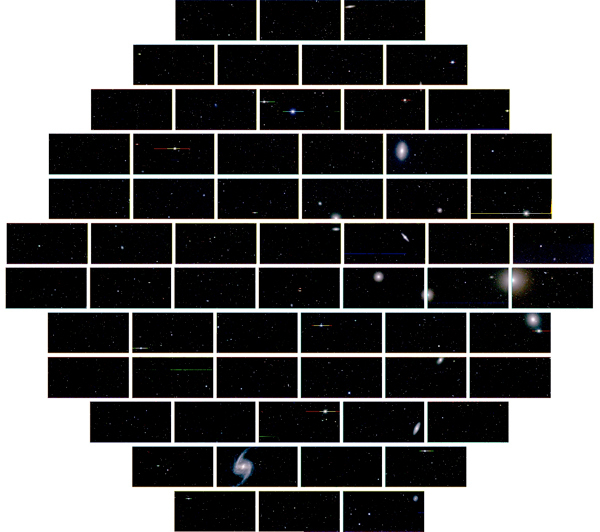 The imager’s 74 CCDs are arranged in a hexagonal pattern on the focal plane of DECam (see Figure 3), where images are recorded. About 14 copies of the full moon would fit in a single image (see Figure 4). DECam can be read out in fewer than 30 seconds, faster than most CCD cameras currently in use in astronomy. Unlike consumer-grade cameras that are used to record images of things that are very bright, astronomical CCDs must be much more sensitive to detect the tiny amount of light that reaches us from faint and/or distant objects. Much of the light from extremely distant galaxies and supernovae has been redshifted into long-wavelength red and infrared light, which conventional CCDs do not detect very well. DES uses CCDs that scientists at Lawrence Berkeley National Laboratory (LBNL) specifically designed to observe red light from distant galaxies. 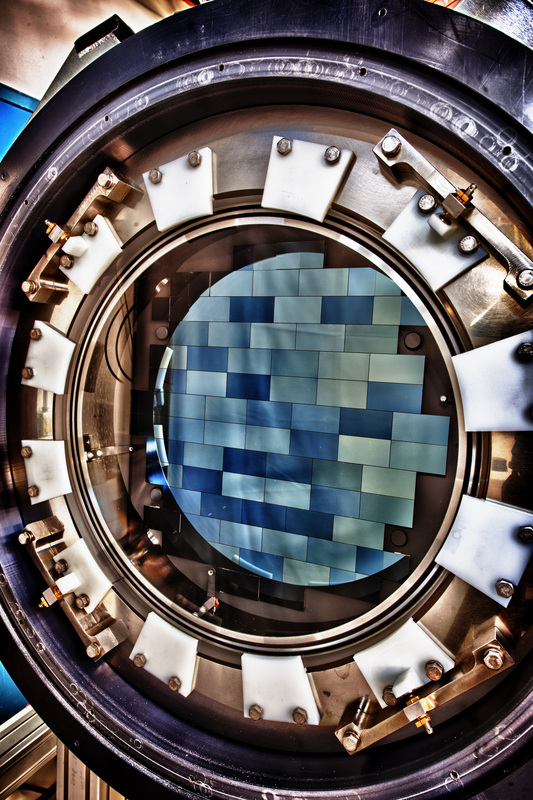 The chance of detecting long-wavelength light is increased when it travels through more silicon, so DES CCDs are about 10 times thicker than conventional CCDs. DECam construction started in 2008 and finished in 2011. It was first assembled and tested at Fermilab on a full-scale reproduction of the telescope top-rings called the “Telescope Simulator.” The camera and its supporting hardware were delivered to CTIO in a series of shipments from 2010 to late 2011. CTIO led the camera installation with intense and active participation by the DECam design and construction team. Installation started in February 2012 and was completed in September 2012. 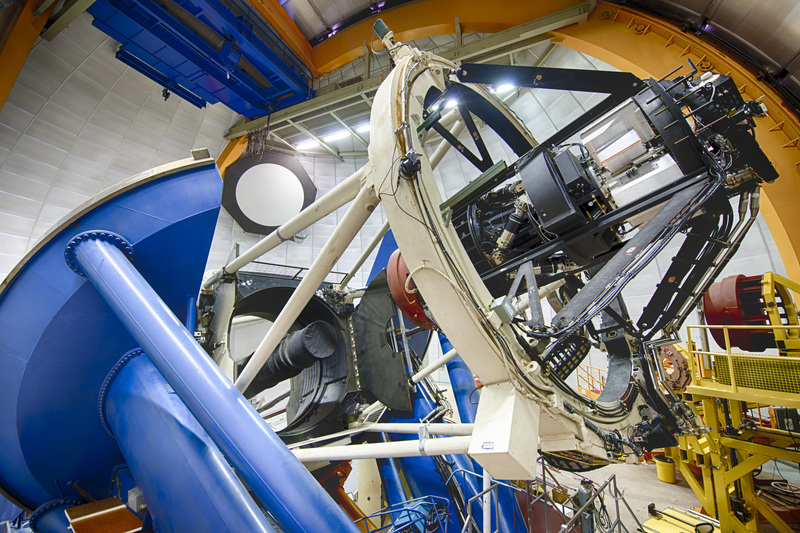 Figure 5 shows the Dark Energy Camera mounted on the Blanco telescope. Figure 4: Image from First Light, where CCDs are apparent. The “Official First Light” images were taken on September 12, 2012. Within 45 minutes of the first exposure, DECam was already delivering quality images. Figure 4 is a three-color composite image from several of these first light exposures. DECam was commissioned during September and October 2012. 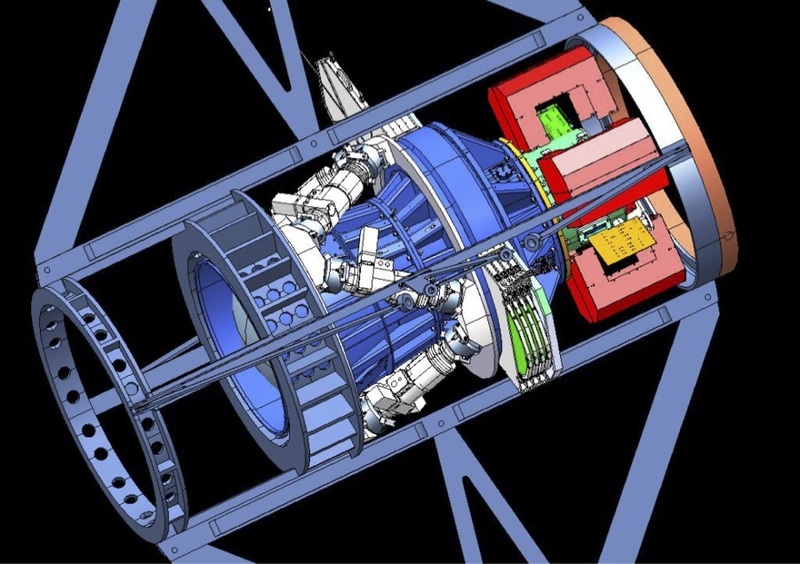 A survey and instrument-testing period called “Science Verification” was carried out by the DES Collaboration and other “community astronomers” in October-November 2012, and DES carried out further Science Verification tests until February 2013. This early period was used to commission the camera, re-commission the telescope, and verify that the camera and telescope could produce the high-quality exposures required for the survey. 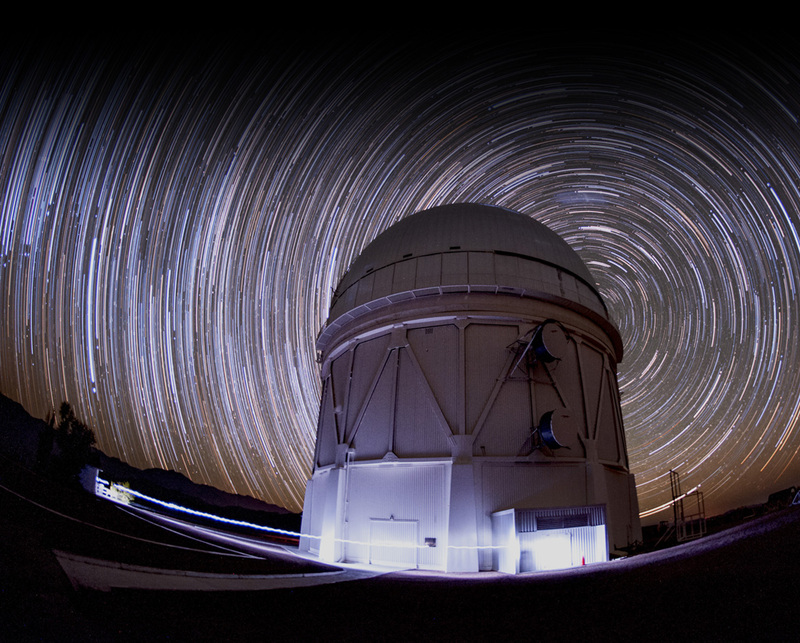 In addition to its use for the Dark Energy Survey, DECam is a facility instrument on the Blanco telescope. This means it is available for general use by the astronomical community. The construction and installation of the Blanco Telescope was completed in 1974. Later named in 1995 in honor of Victor Blanco, Puerto Rican astronomer and former director of CTIO, the Blanco telescope has a 4-meter (13 feet) diameter aluminum-coated primary mirror, which weighs 34,000 lbs. The heft and weight of the Blanco’s sturdy structure is important, because it can support the large mass of DECam. The wide-field design of the mirror provides one of the few existing platforms for efficient wide field surveys. The double door on the ground level of the telescope dome provides a sense of scale (Figure 6). Just inside those doors is a control room from which the camera and telescope are operated each night. Four stories up sits the base of the telescope. The dome is a few stories tall and is covered with aluminum sheets to reflect sunlight during the day. For observations, a large slit, located to the right of the dome, retracts after sunset to allow the telescope and camera to see the night sky. The dome rotates depending on which way the telescope is aimed. 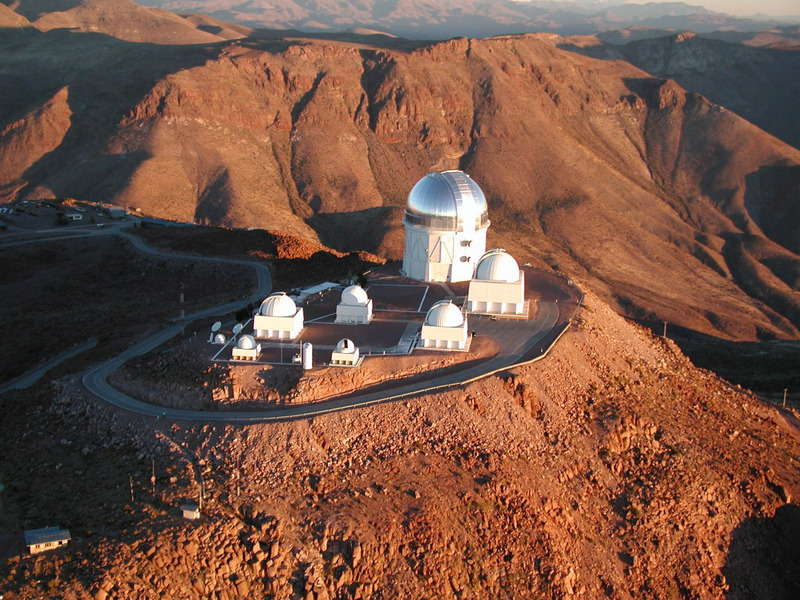 The Blanco telescope is probably most famous for its use in the discovery of cosmic acceleration in 1998 by two teams of scientists who studied supernovae in distant galaxies. The 2011 Nobel Prize in physics was awarded to Saul Perlmutter, Adam Riess, and Brian Schmidt for this discovery. Figure 7: CTIO summit taken from above. CTIO is located east of the city of La Serena on the Pacific Coast of Chile in north central Chile about 285 miles (460 km) north of Santiago. CTIO is at the top of a mountain in the Chilean Andes at 7,200 feet (2,200 meters). This region is extremely dry and has clear nights necessary for deep-space imaging. It is also far enough from cities and towns to avoid significant light pollution. The facility is operated by the Association of Universities for Research in Astronomy (AURA) and funded by the U.S. National Science Foundation (NSF) through the National Optical Astronomy Observatory (NOAO). The trip up the to the mountaintop typically takes about two hours from the La Serena airport or from the AURA compound, where astronomers working at CTIO or for Gemini reside, work and collaborate. There exist several other telescope facilities at CTIO for many kinds of astronomy, astrophysics and cosmology. Astronomers from all over the world use these facilities, as well as DECam. Astronomers sleep during the day in the dormitories, and food is prepared for them by Chilean chefs. There is an experienced support staff for the CTIO instruments: they help maintain the instruments and operate the telescopes. Finally, there are several smaller ‘neighbors’ who share the mountaintop with staff and visiting astronomers — zorros (foxes), viscachas (similar to a jack rabbit) and many others. 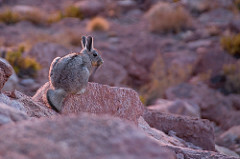 Figure 8: Viscacha on the hills below the CTIO summit.